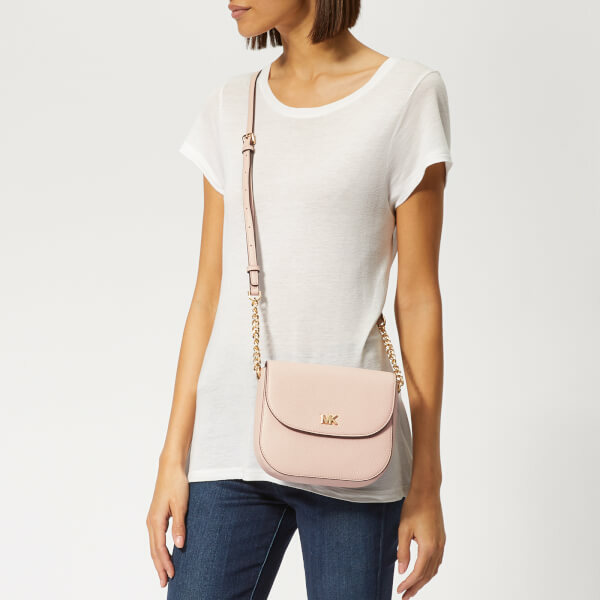 MICHEAL MICHAEL KORS crossbody bag in pink pebbled leather with a dome-shaped silhouette. 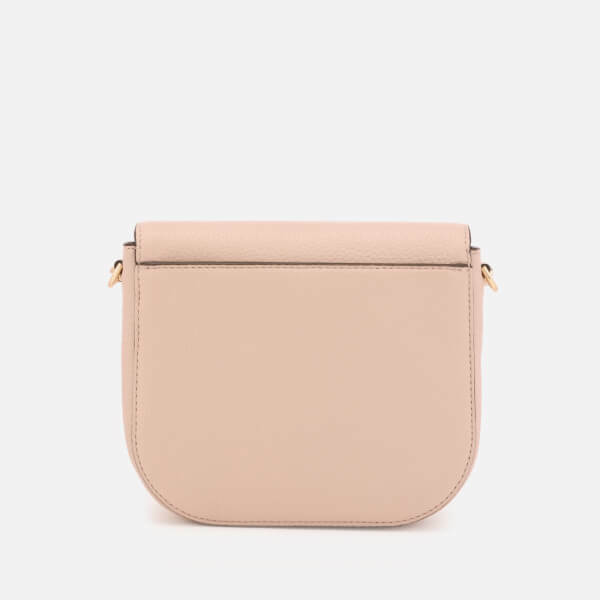 Secured with a magnetic snap fastening, the interior of the compact bag is lined with logo print fabric and features three card slots and a slip pocket. 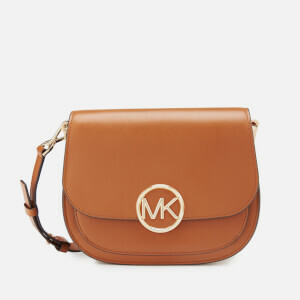 A buckle adjustable, chain and leather strap enables the bag to be worn crossbody or over the shoulder. 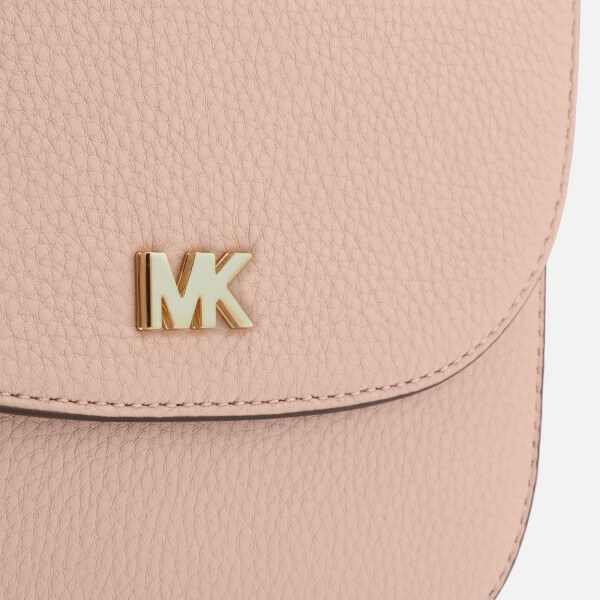 Finished with a snap fastened slip pocket on the back and a gold-tone ‘MK’ logo on the front. 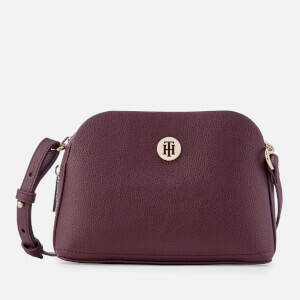 Dimensions: H: 16cm x W: 18.5cm x D: 5cm. 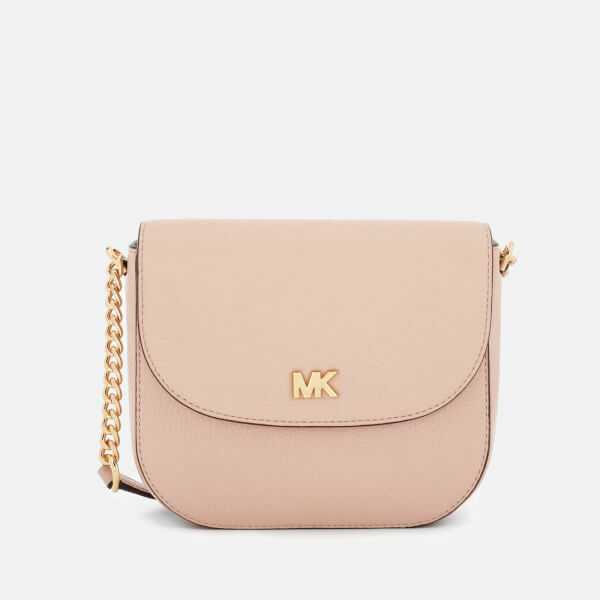 Strap Drop: 52cm.